With more than 70% of cyber-attacks targeting small businesses, it’s easy to see why backing up email is critical for anyone, no matter the business size. 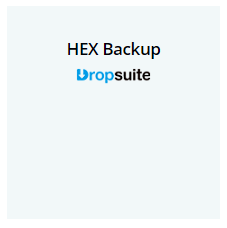 Hosted Exchange Backup from Dropsuite is a powerful cloud-based SaaS solution featuring automated, set-and-forget backup and one-click restore for our Hosted Exchange 2016* environment. Plus, if your customers are using our new Enterprise Mailboxes, you can easily enable this within your portal at zero cost to you. Reduce customer churn and retain trust with a value-added backup service for Hosted Exchange. *Available for Hosted Exchange 2016. Free on Enterprise Mailbox SKU. Not available for Hosted Exchange 2010 or 2013.